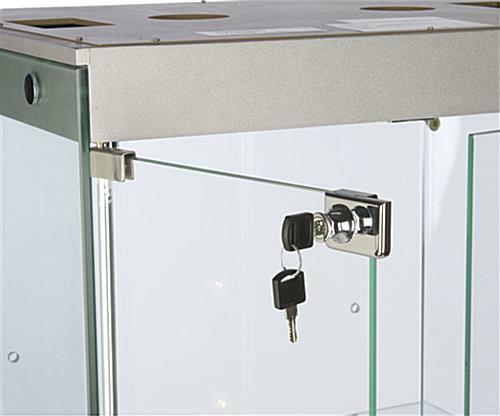 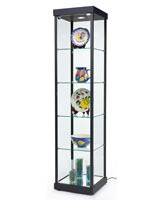 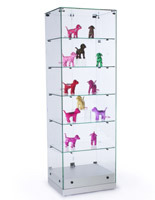 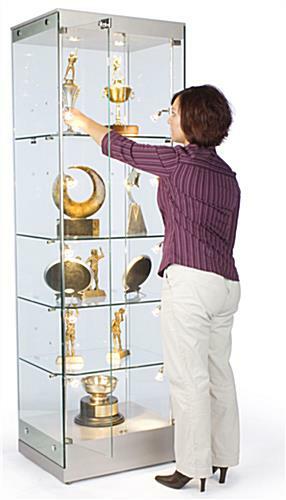 These Display Cabinets Are Versatile Free Standing Showcase with Easy Light Controls! 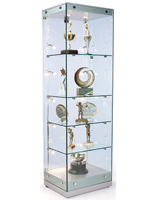 These Display Cabinets Have Frameless Exteriors with Silver Polished Metal Bases and Canopies! 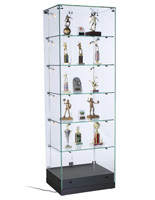 These Display Cabinets Are in Stock and Ready to Ship! These display cabinets can be the upscale touch your store needs to elevate your interior decor. 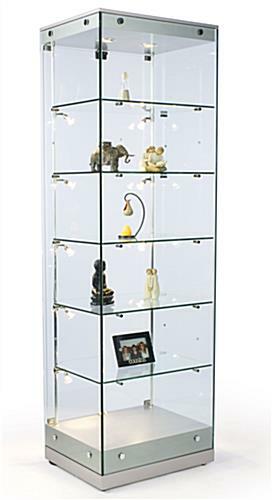 These Grace Tyler models are crafted from thick tempered glass with an appealing silver finish to present a modern, stylish mood. 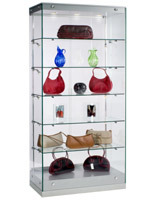 A tempered glass shelving system, along with the absence of extrusions, renders the case to appear literally frameless. 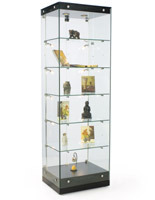 These display cabinets also feature top and side-mounted lighting.